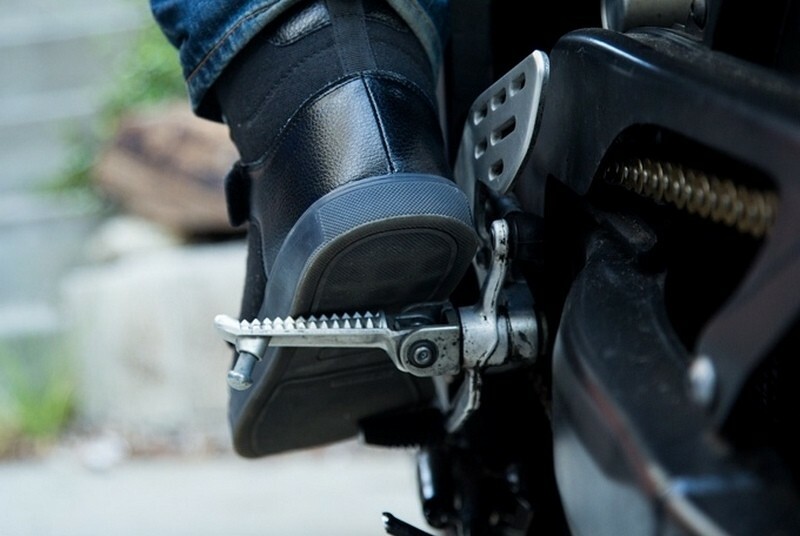 For most motorcyclists, anything that can increase their visibility to “cagers” (a.k.a. automobile drivers) is welcomed with open arms. 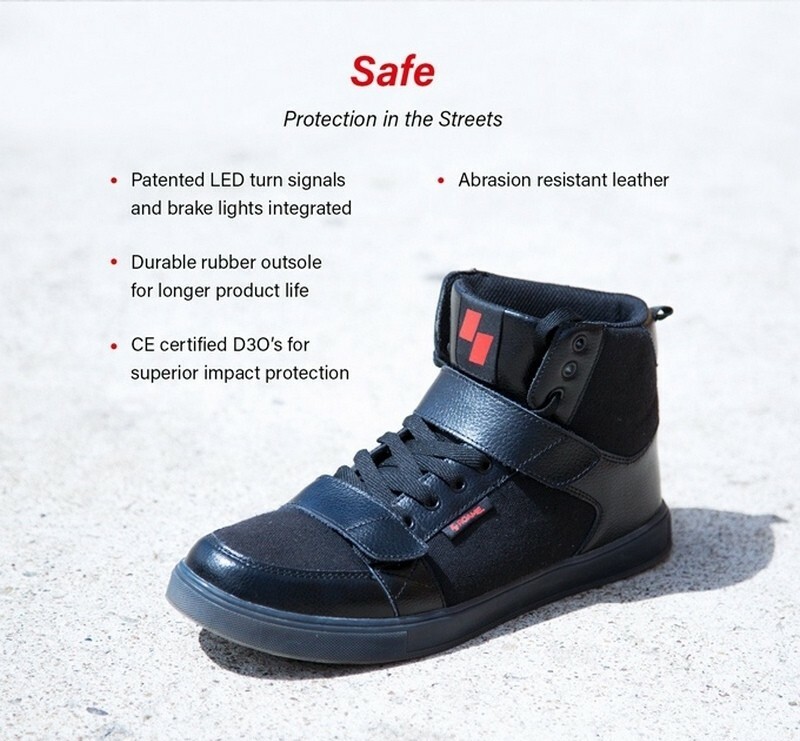 Ditto any gear that enhances their bodies’ resistance to damage when the defecation does hit the oscillation. 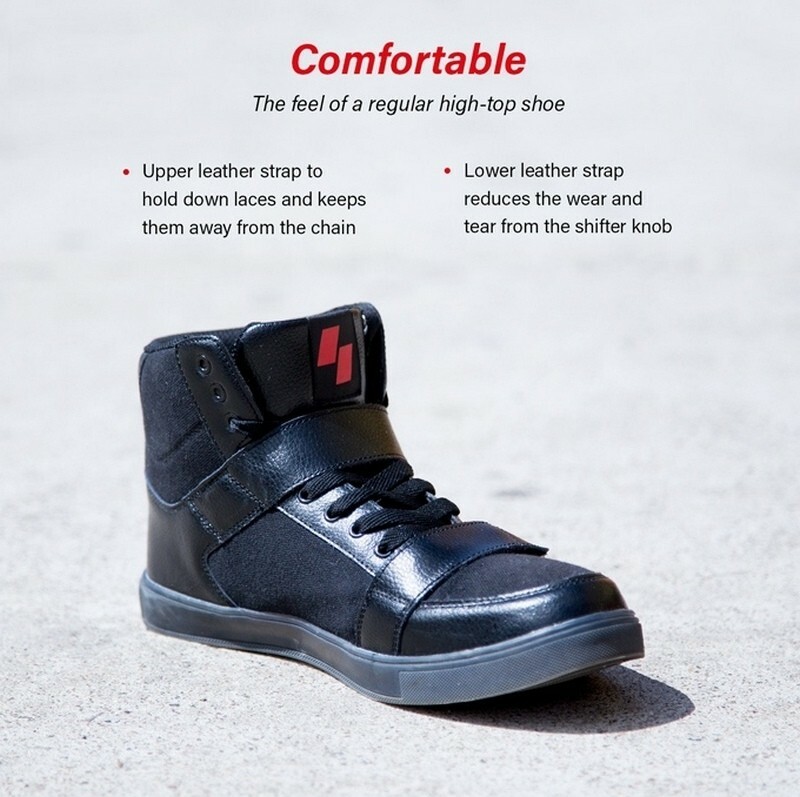 Leave it to some clever brains behind a startup company to come up with something that does both. 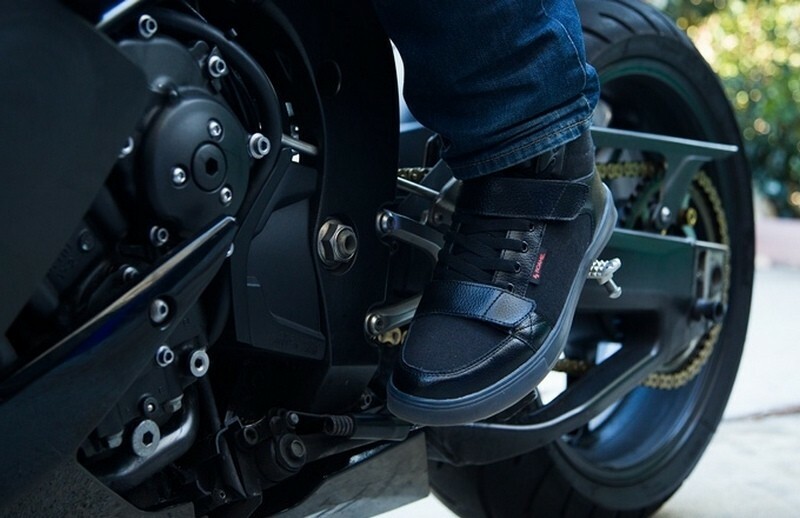 The company is called ROAME, and its product is called the Zeros motorcycle shoes. 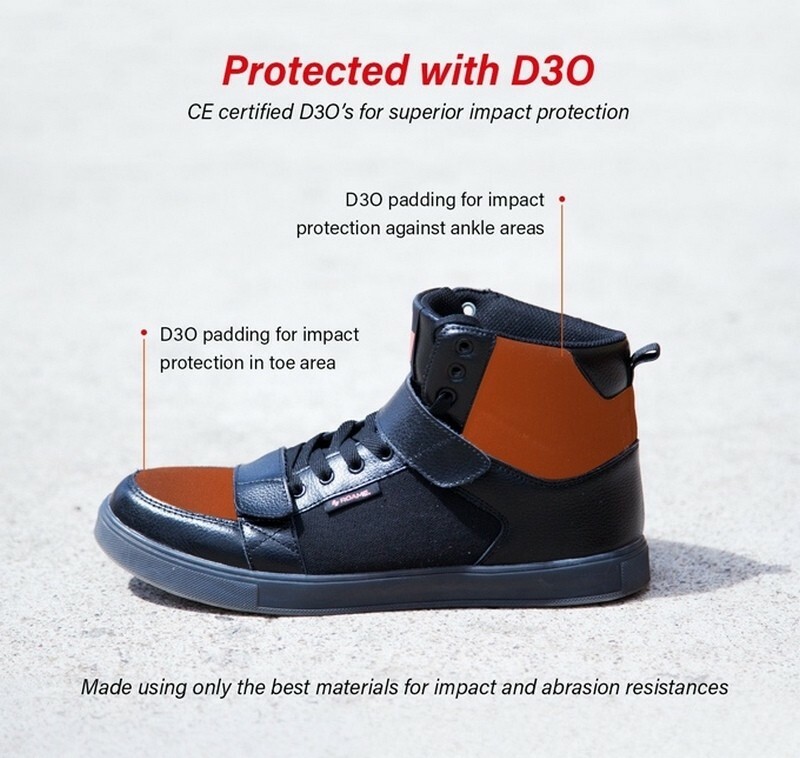 At first glance, they don’t look that different from ordianary shoes, but with rugged rubber outsoles, leather straps to keep the laces stowed and reduce wear from the shift knob, and a flexible armoring material called D3O in key locations, the Zeros provide most of the protection conventional riding boots do, yet without the reduced mobility and awkward looks. 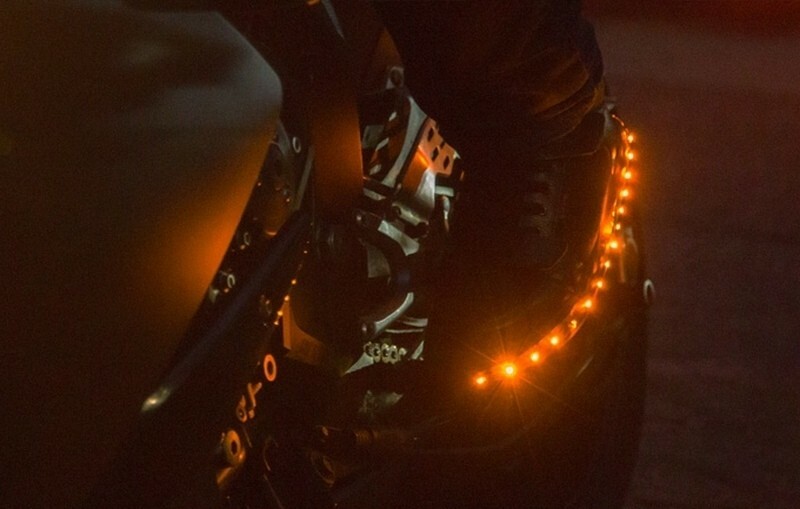 What’s more, these kicks pack a little extra something, namely colored LEDs on the heels and outward-facing sides. 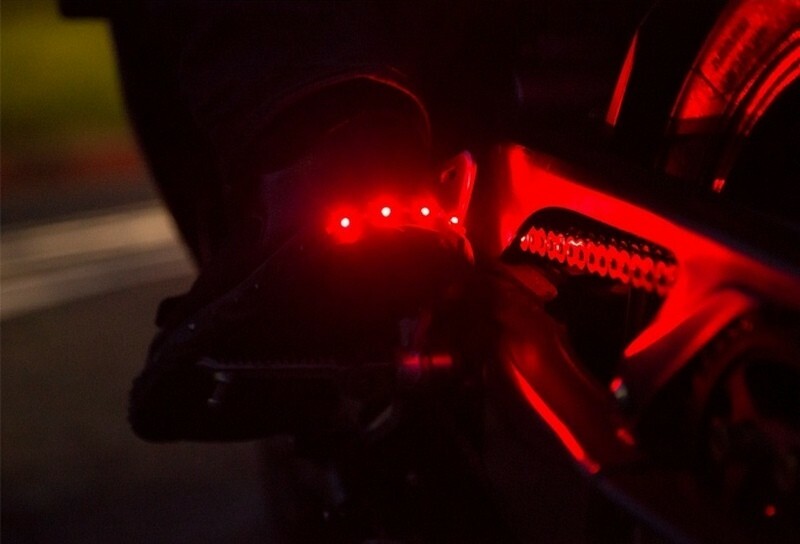 When the supplied wireless transmitter is connected to the bike’s wiring harness, the wireless receiver in each shoe activates red LEDs in the heels in concert with the brake light, while engaging the turn signal causes the wraparound amber LED array on the corresponding shoe to blink. 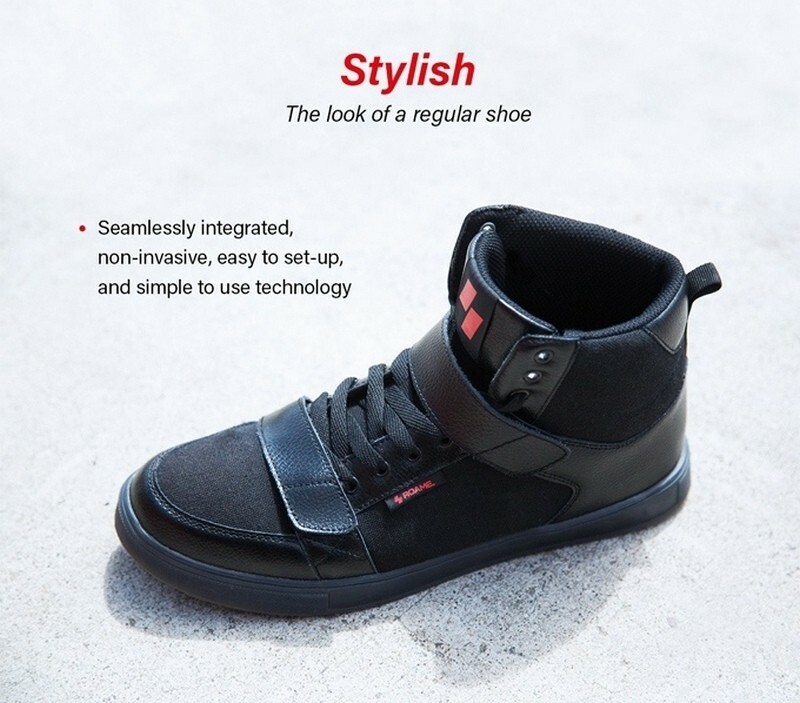 In other words, this footwear is innovative on multiple fronts. Currently available for order through Kickstarter (though the initial $25,000 funding goal has already been handily surpassed), the lowest-priced ROAME Zeros package currently available is $299. That’s really not a bad price for such an impressive blend of style, technology and peace-of-mind.